Need help using a snapshot? Badprenup has you covered! 3. Put the new jar file in the bin folder (OPTIONAL: Back up your old jar file). 4. 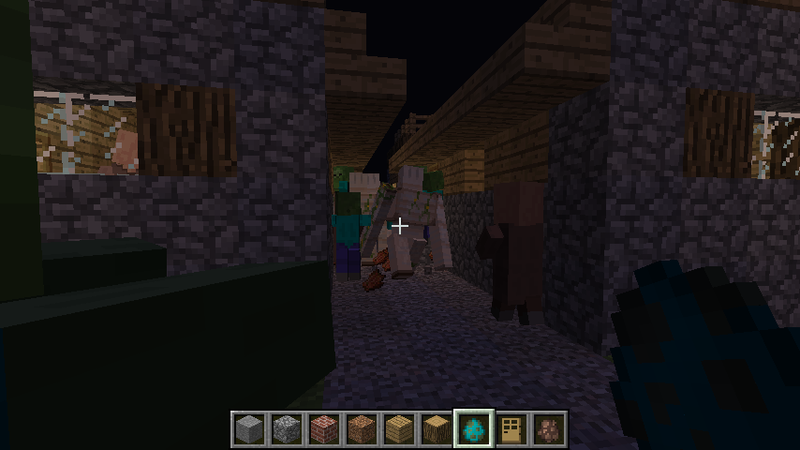 Open Minecraft via the launcher, how you normally would. Is it just me, or is Minecraft becoming Battlecraft? Yes, it's nice to have something to build against, and almost nobody will tell you that having villages to protect is a bad thing; but I seriously haven't seen much official attention to the actual mining basics of the game. FINALLY upside-down stairs. I thought they would NEVER make it! Upside-down stairs *drool*. I've been waiting for them for so long. Is the cave bug fixed? OMG, it is an real cave Squidward! Bug maybe: when guard kill zombie, he started attack skeleton, but when skeleton shot to him, he stops to attack him. Here's a video of the new mob! 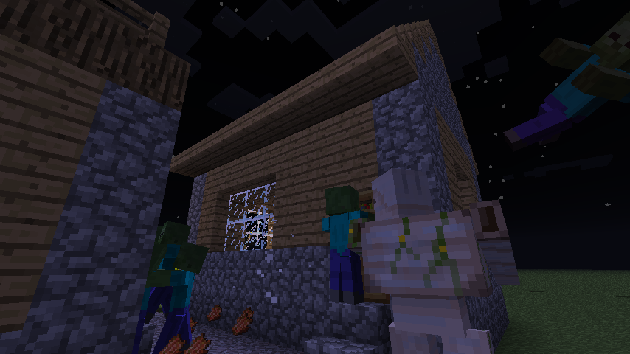 Zombies breaking Iron doors fixed? 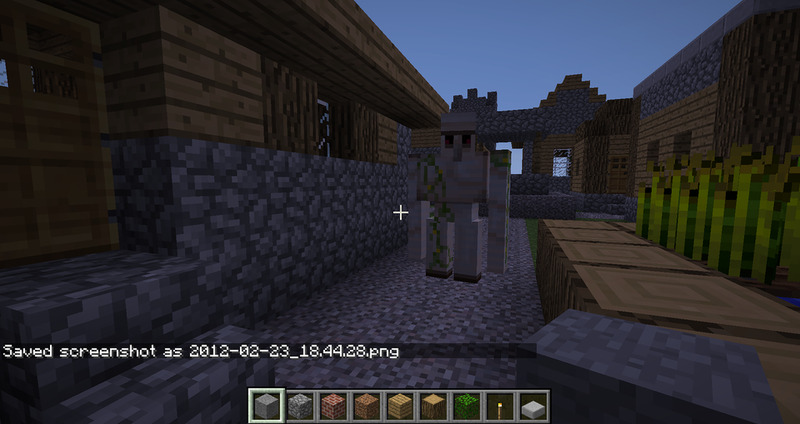 Wow hey it seems that the more zombies there are, the more golems there are! Look! Well, what additions do you think will add to the mining aspect of the game? What do you think could be improved? If you think the mining needs adjustment, suggest it on the forums, or even directly to Jeb. Anyways, this is pretty interesting, maybe I'll start building walls around villages and make it a tower defense type thing. Now Featuring Something Quest! Also, quite a few Minecraft Creations. Oh and if you kill them (takes like 20 freakin hits with a DIAMOND SWORD) you get 4-5 iron ingots.